We are specialists in specific and broad spectrum fumigation services for residential properties and workplaces. Our services also include general pest control programmes for warehouses, industrial plants and telecommunication masts against fleas, bees, mosquitoes, cockroaches, termites, snakes etc. Undesirable pests take refuge in the cleanest of offices. 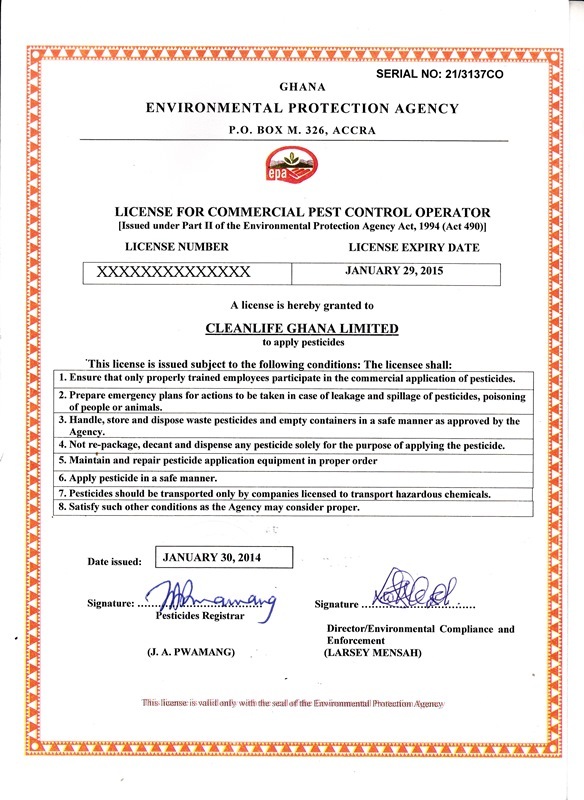 Cleanlife fumigation service provides a thorough pest control program using the most health-friendly fumigants. Our target is carved around the client's specific needs. Our technicians are trained to inspect your home to pinpoint various hiding spots where insects may infest and reproduce. Do you know that you can prevent common deadly diseases like malaria, typhoid, Lassa fever and other airborne diseases by simply fumigating your premises? Your office or home is no place for pests. Get rid of creepy insects today! Call Cleanlife now.